Im getting suspicious if there's any theft involved with my package. 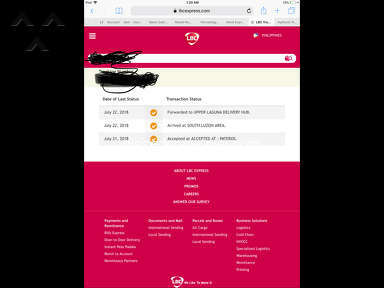 My friend sent me my package December 18, 2017 but until now there's no movement? 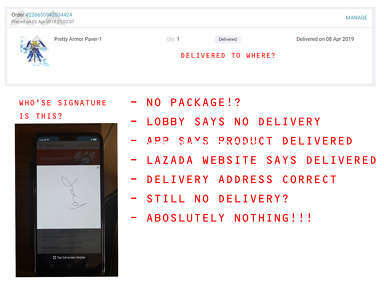 Related: LBC Express - LBC WALANG KWENTA! How can this happen? This is not right. I called up LBC several times since December. 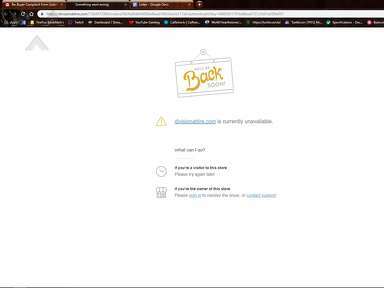 Initially they cannot locate my tracking no when I went to the branch. The ones I noted are dated January 10 and 15, 2018. 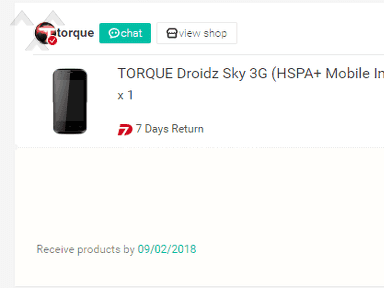 Both customer service agents, like Derek promised me he will get back within 48 hours as to the movement of my package but until now I didn't receive any update via mobile no. I am very disappointed. 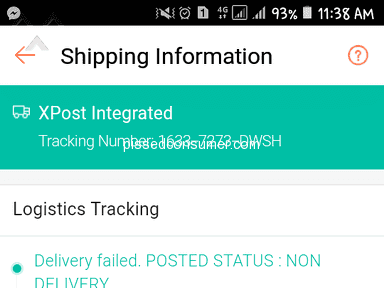 Im hoping my package didn't get lost. 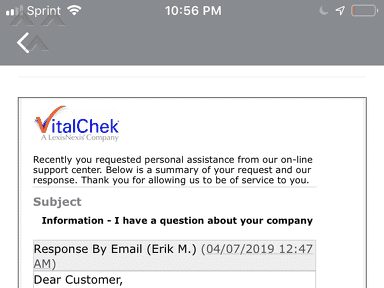 Reason of review: (1) No movement with shipment for 1month already; (2) No feedback from agent as promised w/in 48 hrs; (3) Online customer feedback was not working. I liked: Tracking tool, Affordable, Pick-up service. 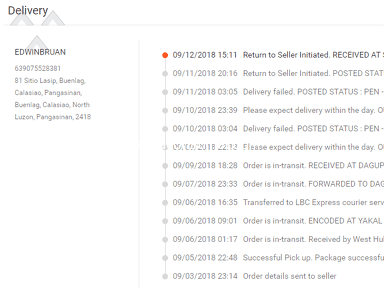 I didn't like: No movement for 4 weeks where delivery should happen already, This indicates my package was literally neglected, Very poor services, No further information were provided on status of pick-up. Review #1170953 is a subjective opinion of PissedConsumer1170953. Hi Ka LBC, kami po ay handang tumulong sa inyong mga concern, kindly redirect your complaints to us by sending a private message to www.facebook.com/lbcexpress or a direct message to www.twitter.com/lbcexpress. Bukas din po ang aming hotline 24/7, kinldy dial 8585999 for Metro Manila and 1-800-10-8585999 provincial.